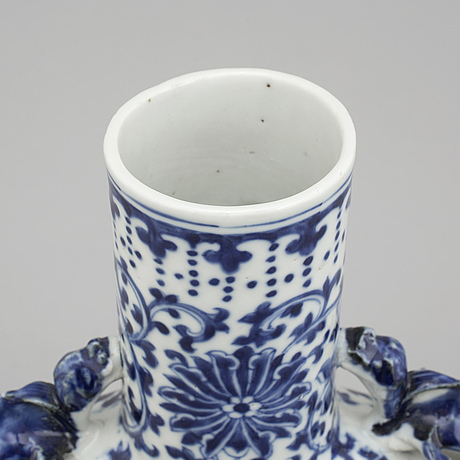 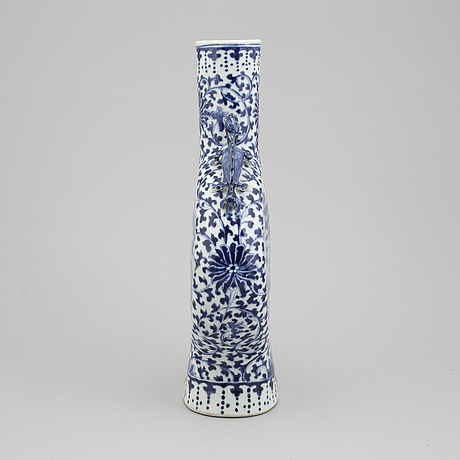 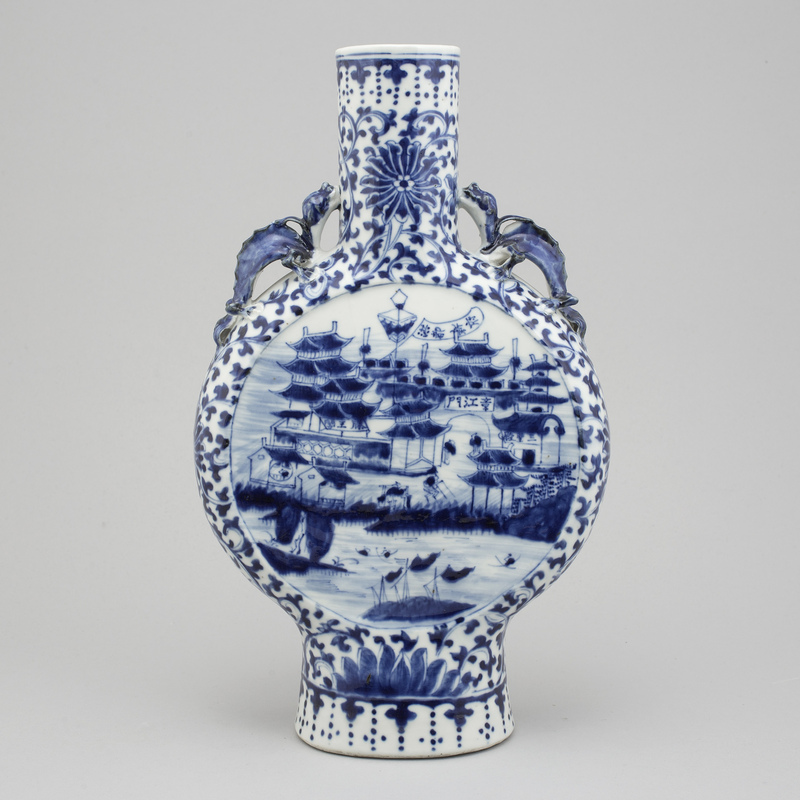 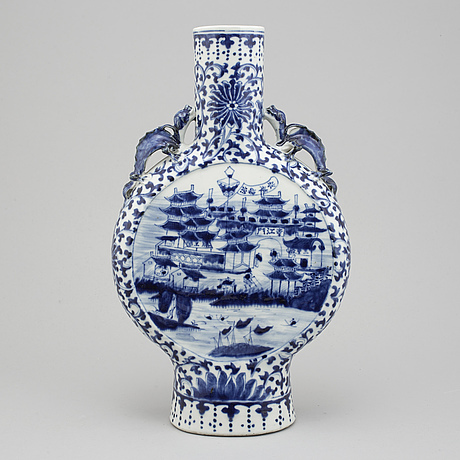 A blue and white moon flask, Qing dynasty, 19th Century. 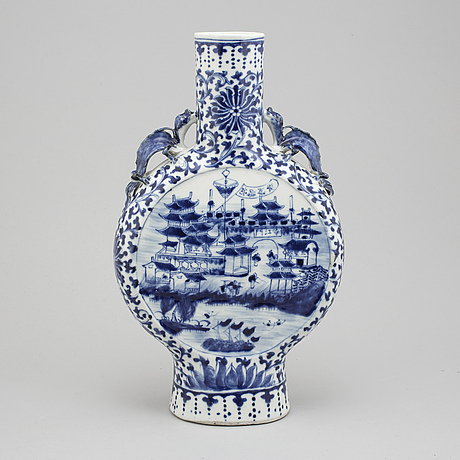 Flattend shape with a tall neck and qilindragons as handles, decorated with a figure scene in a landscape/city scene at the river with pagodas to each side. 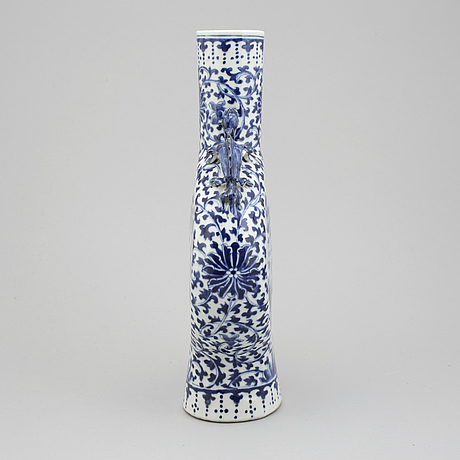 Height 37 cm. 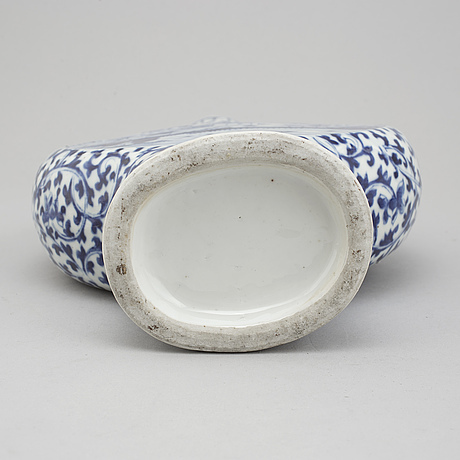 Wear, crack to body, firingspots.